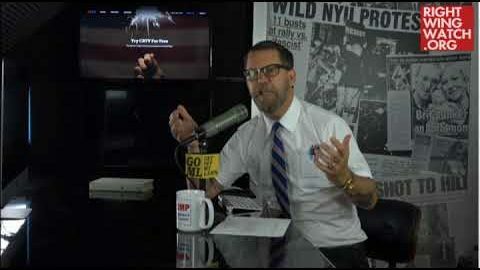 Gavin McInnes, the far-right CRTV host and leader of the bizarre “Proud Boys” hate group, was not a fan of comedian Michelle Wolf’s routine at this year’s White House Correspondent’s Dinner, claiming that she was only chosen because of “affirmative action” that he says motivated organizers to book “the blackest-looking Jewish chick” they could find. “But she looks kind of—she’s so Jewish she looks black,” McInnes said, laughing at his own witticism. “Well, what happens when we ignore talent and hard work and we just get the blackest-looking Jewish chick we can find? 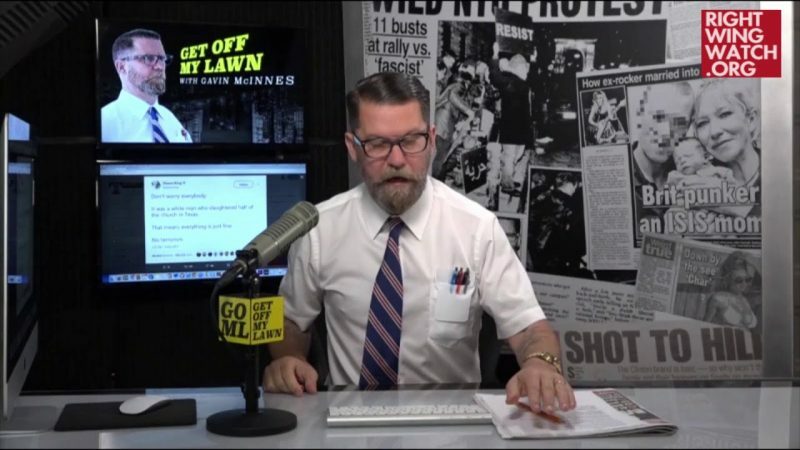 This is what happens,” McInnes said before going to a clip of Wolf performing at the dinner. CRTV, the company that currently employs McInnes, attempted to quietly erase racist remarks he made about Sen. Cory Booker earlier this year and has been appealing to fringe audiences with its recent hires.